It's Bare Knuckle Boxing big weekend! 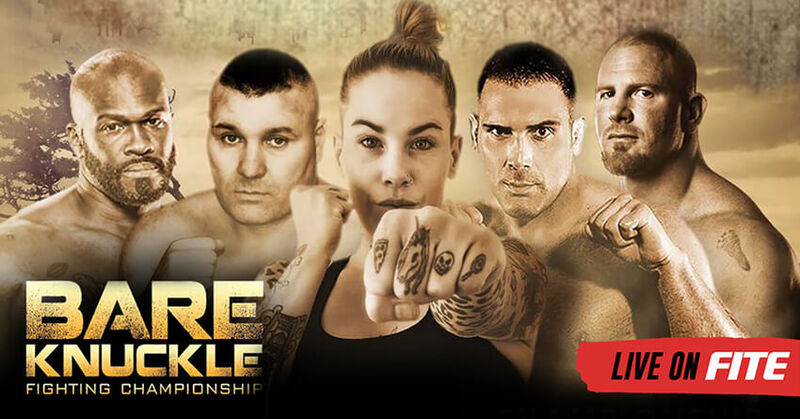 Excitement is growing for the first regulated bareknuckle boxing event in the US coming out of Wyoming this Saturday, Jun-2 and streaming live on FITE pay per view around the world. Titled BKFC: The Beginning, the first sanctioned bare knuckle event since 1889 promises to be a barn-burner in so many ways. Showcasing a stacked lineup of professional fighters of MMA, Boxing and kickboxing pedigree, the event is set for 12 bouts with battles taking place in a patent pending innovative squared circle under a modern set of rules aimed to re-introduce bare knuckle boxing to the world boxing scene. Fighters are allowed to wrap and tape the wrists within 1 inch of the knuckles. Punches are the only strikes allowed with a closed fist. Matches are set for 5 rounds of 2 minutes each. More headlines were made last week when it was announced that Bec Rowdy Rawlings will be the first female fighter to enter a bare knuckle fight. The Australian MMA veteran will take on professional boxer Alma Garcia in a five-round 145lb co-main event. Bec Rawlings has recorded 7 wins throughout her MMA career. She is known for her aggressive fight style and feels she is a perfect fit for BKFC. The fight card also features established pro MMA fighters like Bellator heavyweight tournament winner Eric Prindle and fmr UFC heavyweight champion Ricco Rodriguez, as well as Boxing great and multi-time Cruiserweight Champion Bobby Gunn. Heavyweight fight Ricco Rodriguez vs Lewis "The Beast" Rumsey is set for a headline fight of the night and a special 8-man heavyweight tournament will shortlist fights advancing to semi-finals in September. Philadelphia based Bare Knuckle Boxing FC is a new promotion starting off with this inaugural event with a $50,000 prize and the ambition to re-live the oldest combat sport with a twist. BKFC will be held under the auspices and control of the Wyoming Combative Sports Commission, and held at the Cheyenne Ice and Events Center in Cheyenne, Wyoming. FITE will carry the live programming for $29.99 ppv price including unlimited replays. FMR boxing world champion Antonio Tarver will provide color commentary for the ppv broadcast. Don't miss this groundbreaking pay per view! Order now to watch live and on demand on the FITE mobile apps, ROKU, Apple TV and online at FITE.TV. One order via FITE (regardless of your choice of platform) unlocks the event on every screen of your choice. 100% money back guarantee. Pre-orders still available.